Apple's first Phablet, the iPhone 6 plus is facing a huge issue that appears to be a design or a manufacturing flaw. Various reports around the web is saying that the iPhone 6 plus can bend easily while sitting in a user's front pocket or dropped to the ground. 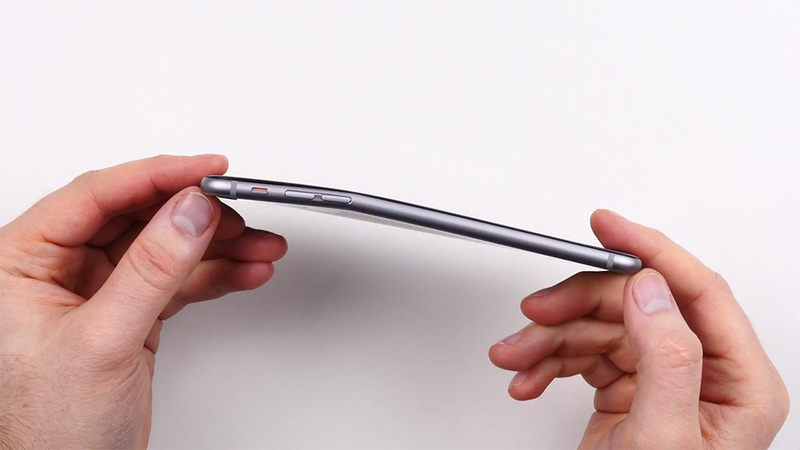 As you can see in the video below, the iPhone 6 Plus does indeed appear to bend easily. The person in the video also observed before the test that his device already displayed slight indentation. The weak spot appears to be on its left side, right below the volume buttons. According to an unofficial engineering opinion, the iPhone 6 Plus might be a victim of its elegant aluminum unibody. The device's significant footprint doesn't help its case either, as, combined with the thin body, it affects its bending strength.